A new IBM patent is so silly it makes me question the ultimate value and purpose of the IoT. What’s the silliest, dumbest, most ridiculous Internet of Things (IoT) application you can think of? Smart toothbrushes? Internet-connected toilets? Digital notepads in the shower? IBM has just patented an IoT device concept so incredibly inane that it makes all those earlier attempts to trivialize the IoT seem like cures for cancer. What could possibly be so ill-conceived as to make a smart hairbrush look, well, smart? IBM’s coffee delivery drones could sense when you are tired and automatically deliver coffee to you. Or you could use hand gestures to call for a coffee delivery. Alternatively, motion sensors could let thirsty workers use hand gestures to call for a pick-me-up. In addition, the coffee might not come in a cup. 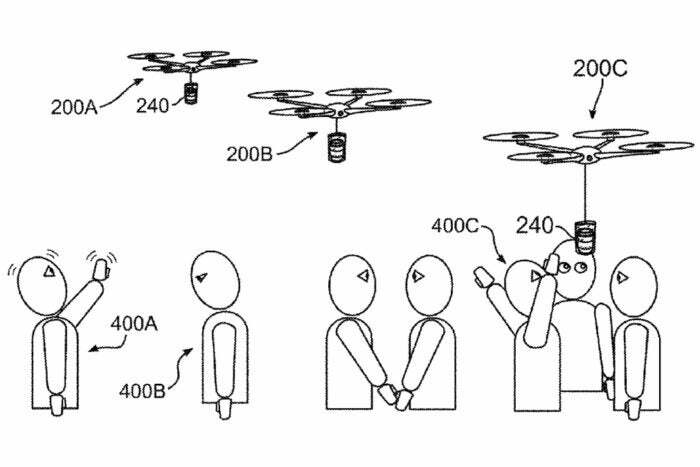 … According to the patent, the drone could pour the coffee directly into a cup on the worker’s desk, or just drop a sealed bag of hot liquid onto the desk. It could even include a heater to make sure the coffee was delivered hot. In fact, the drone system’s AI could create and store profiles of all the workers in the office, both as individuals and groups, making it easy to deliver everyone’s “regular” order without having to engage in an ongoing dialog. Yikes! What could possibly go wrong with any of these scenarios? According to the BBC, IBM has not said whether it actually intends to try to build and market such an abomination, but the company did go to the trouble of gaining a 16-page patent, which takes a fairly significant investment of time and money. Now, IBM is a big company, and I’m sure it can afford to waste a few thousand dollars and some researchers’ time to create an unmanned aerial vehicle to replace the venerable coffee cart. Because the whole operation occurs within a constrained office environment, it may even be easier to implement than the drone burrito delivery service idea that everyone has been talking about for a few years now. 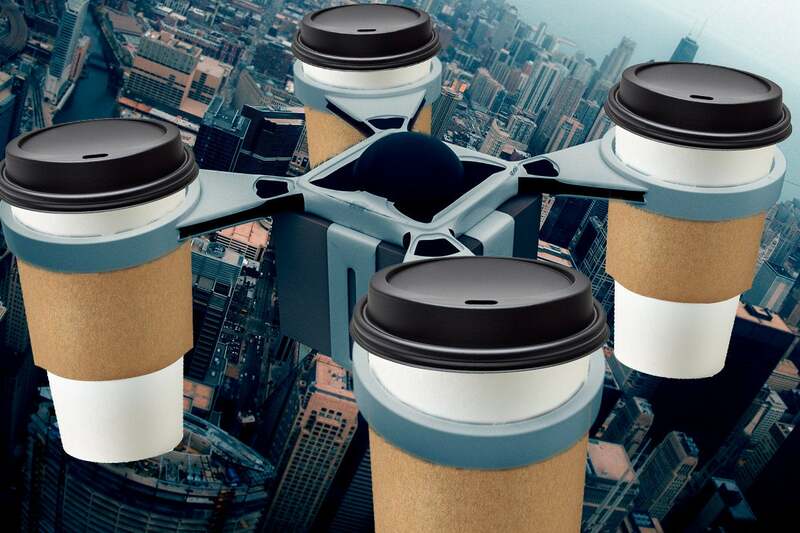 But, seriously, drone coffee delivery? Is this really what IBM — or any vendor working on IoT technology — should be focused on? Does the coffee delivery drone inspire confidence that the IoT is going to fulfill the enormous promise the vendors and analysts all predict? Or does it suggest that despite the hype, we’re all still struggling to figure out exactly what the IoT will be good for?